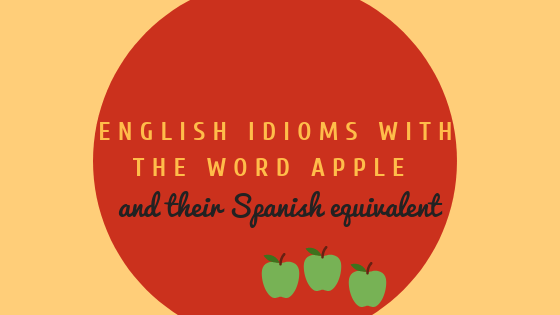 English idioms with “apple” and their Spanish equivalent I am always talking about idioms, but most of the time I start with Spanish idioms and then I give you their English equivalent, but this week I thought I would do it the other way around. I just decided to write this blog as this week it has been 3 times already that I have heard someone using an apple as a reference, that means I have heard three of the four idioms with the word apple and I thought that might be a sign, I never paid attention before about how often English speaker use “apple” in their idioms, but now I do, that’s why I am writing this blog, which I consider quite interesting as funny enough just a couple of the idioms have the word apple “manzana” in their Spanish equivalent. Tienen muchos nietos, pero la pequeña siempre ha sido la niña de sus ojos.-They have lots of grandchildren, but the little one always has been the apple of their eyes. No sé de que te sorprendes, de tal palo, tal astilla- I do not know why you are surprised, the apple never falls far from the tree. Or if you mother is complaining about a thing that she usually does, you could say. Mamá, tú haces exactamente lo mismo, ya sabes que de tal palo, tal astilla- Mum, you do exactly the same, you know that the apple never falls far from the tree. Estás comparando churras con merinas, ¡cóncentrate!- you are comparing apple and orange, focus! And your (+1), quite a popular one an apple a day keeps the doctor away– una manzana al día es cosa sana. 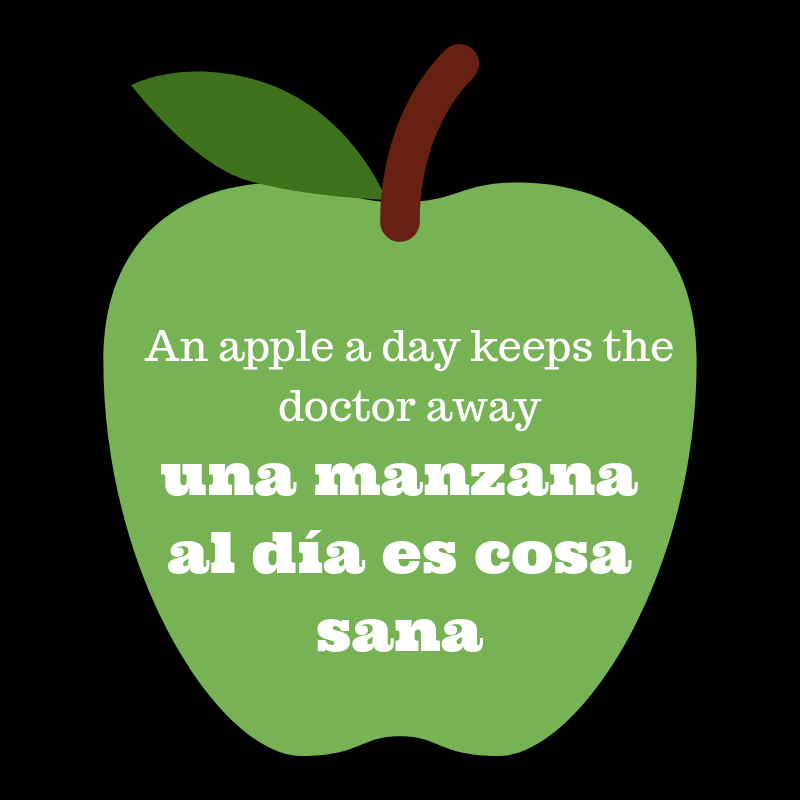 So if you want to avoid the doctors this winter you know….¡manzanas! Apples! And that my friend is the English idioms with apple and their Spanish equivalent, I hope you enjoyed it and start using them, and to start using them from now on, what about leaving a comment below with one of them? Come on! Don’t be shy! I will be waiting for your comment! Also if you know any other English idioms using the word apple, please I would love to hear them, so leave a comment with the below 🙂 – ¡Muchas gracias! Please if you know someone that could benefit from this post, please share it with them! 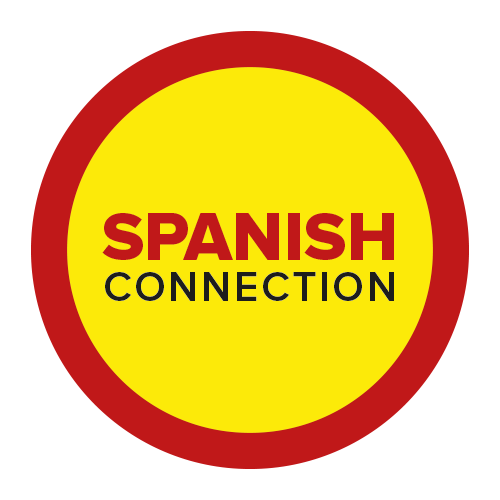 I will be forever grateful if you help me to spread the Spanish language around!